As this blog is geared to newer hams, you’ll sometimes hear the word “contesting” or “radio sport”. Sometimes I think it’s funny seeing or hearing Ham Radio and sport in the same sentence. It reminds me of a scene in the movie “King Pin” where the character played by Randy Quaid says, “It’s intimidating to be in the presence of so many great athletes.” Then the shot pans to a bunch of fat guys smoking, eating and drinking. Sort of an oxy-moron if you ask me. So what is this “contesting” and what’s it about? As simply as I can put it, Contesting is where a operator or operators try to establish contact with as many other operators as possible within a certain period of time. What makes each contest unique are the rules and regulations that govern each contest. Most contests have the operators send a piece of information to the other operator and vise versa. This “Exchange” is used by sponsor of the contest to ensure that an actual contact actually happened. Once the contest is over, all the operators that took part in it will send in their logs to the sponsor before a deadline. The sponsor will then enter all the logs into a database and it will cross check all the logs and award points. The points are awarded depending on the rules of the contest. It can be as simple as one point per contact or 2 or 3 points. There are also Multipliers (mults) which are defined by the rules of the contest, making contact with a mult will multiply your entire score by that amount. The one with the most points wins is a general way to put it. Depending on the contest, there could be multiple winners for all the different categories they have. Some of those categories could be QRP, Low Power (>100W), High Power(<250W), Emergency Power, Single Operator, Multiple Transceivers with Multiple Operators, Single Transmitter with Mulitple Operators, Rover/Portable (Driving around) are just some of the categories that could be used in a contest. Just read the rules of the particular contest and you will know where to fit in or what to aim for. That all depends on you. Some operators love it. They eat, drink and don’t sleep contesting. The only time you will see them on the air is during a contest. There are even clubs dedicated for contesting. I belong to the “Yankee Clipper Contest Club” (YCCC) and they take contesting very seriously. If you are into contesting I would suggest to join one. As I did with the YCCC, you can learn a lot about contesting . It’s not necessary but If you get bitten by the contesting bug, the information and help from fellow members is worth the membership fee. Some of the operators who do a lot of contesting, setup their stations with only contesting in mind. Some ops go as far as buying property and building their station around contesting. 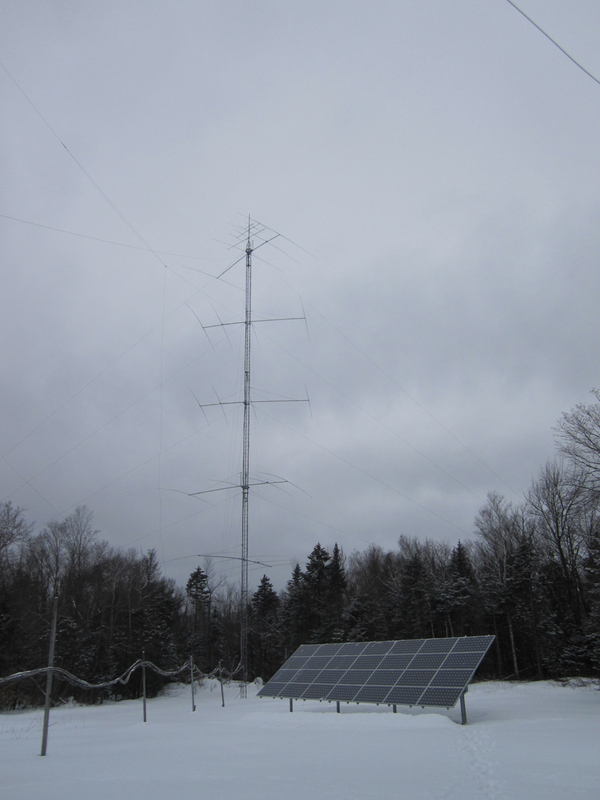 I had a chance to visit one of these contest stations and I was quite impressed with the setup. The station I got to visit is built and owned by Dave Robbins (K1TTT). 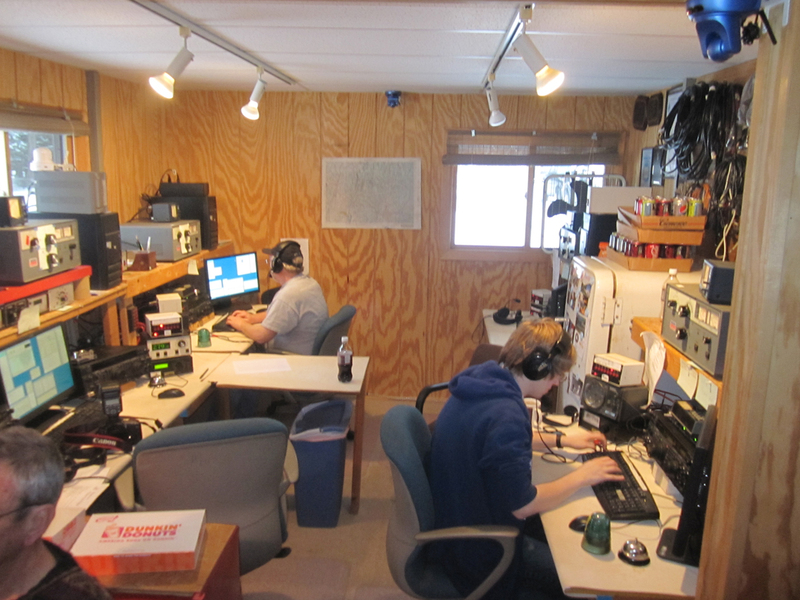 I got to operate at his station with the BSA Venture Crew 510 (NE1C) for both the North American QSO Party (NAQP) and WPX SSB. You’ll notice that there are multiple transmitters scattered throughout his station. Each area is basically dedicated for a single band. If the contest allows, there can be 6 to 9 transmitters being used at the exact same time. 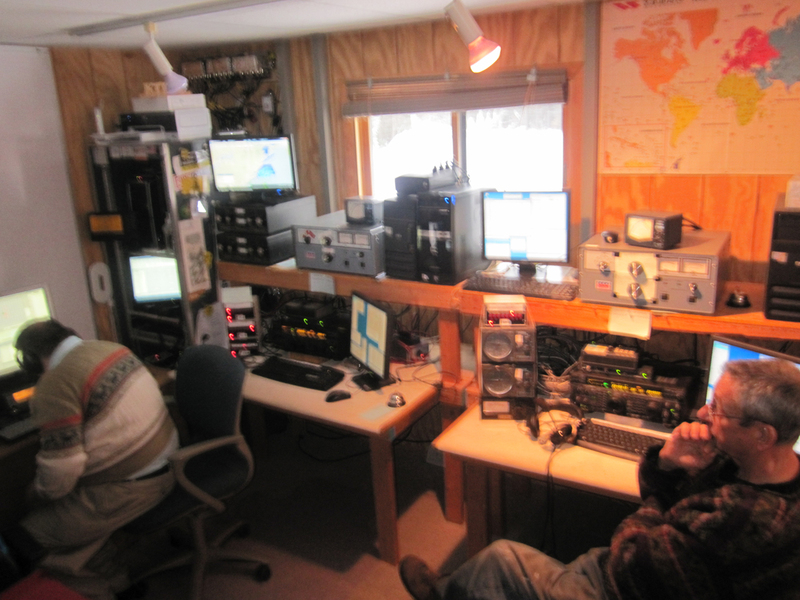 The software (N1MM) that is being used is networked throughout his entire shack. This will show real time progress of the contest and predict a very accurate score. It could also lead to a little contest between operators to see how many QSOs each operator can make. I didn’t have time to take photos of all of his antennas but it’s quite impressive. If you want more information about K1TTT, you can visit his website. With this Station/Setup, It’s NOT hard to have a high score. 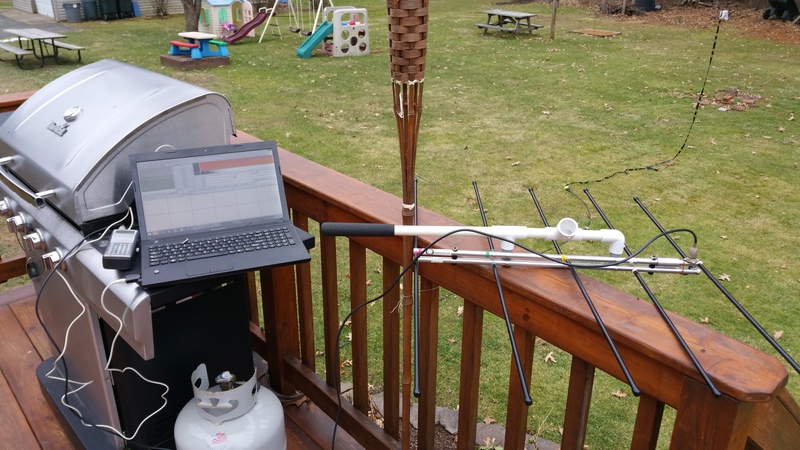 Since this is what is considered to be a “BIG GUN” station, it’s easy to take command of a frequency and “Run” for a good portion of the contest. Let the contacts come to you. The only thing I did not like about using his station is when I returned home to use my equipment only to hear a fraction of what I just heard at the contest station. But if you ever have a chance to use a contest station, go for it! You can learn a lot about contesting just by watching someone who has done it for a while. Now don’t let me scare you out of contesting by saying you need to have this “BIG GUN” station. The truth is a lot of the stations that participate in contests have what is considered to be a “Normal” setup. If you’re still on the fence about contesting, my advice would be to find someone or a group within a reasonable distance and shadow them for a contest. If you join a contesting club (if it’s possible), there are contesters who are looking for more operators as they work in “Shifts” depending on the contest. Another thing you can do is wait for Field Day. Even though the ARRL calls Field Day a emergency preparedness exercise, it’s could be considered a contest or even both. You get points for making contacts and points for doing certain things and they publish the results every year. Visit a Field Day site and you will get a general idea on how it works. If you don’t want to transport to another station, as long as you have the equipment, there is nothing to stop you from contesting from your home (other than your license limitations). Not all Hams enjoy contesting. Actually some Hams just flat out HATE contesting and anything to do with it. Some of them beleave that contesting actually ruins amateur radio because it’s turning a leisurely hobby into a “Sport” and it’s congesting the airwaves with nothing but false exchanges transmitted by operators who are over-driving their signal and using more power than the legal limit to force other ops off the frequency and/or band. You’re not learning about the person on the other side, you’re just establishing contact and moving on. That is basically what you will hear from the “Anti-Contesters” and I think it’s a half truth. There are operators that show no respect and do all of those things. But it also happens when there is not a contest going on. When a major contest is going on, depending on the contest, there is a lot of activity going on. There is so much activity that it’s very possible that the entire band is being consumed by contesters. There is refuge from all this chaos however. Most, If not all contests do not allow contesting on the WARC bands (60m, 30m, 17m, 12m) so if you don’t like contesting, you can use these bands. The downside to the WARC bands is that you have limited space and there are not many antennas designed for the WARC bands which keeps some operators off. Most contests take place during the weekend. A good amount of the contests are mode specific. So if it’s a RTTY contest, most of the activity will be around the RTTY calling frequencies and the SSB portion will be not effected. Same with CW or PSK or SSB only. However there are contests that any and/or every mode can be used. If you’re an avid “Rag Chewer” contesting might not be up your alley. Don’t knock it down until you at least put a serious effort into contesting. If you’re going into contesting with a negative attitude, you’ll have negative results. If it ends up that you don’t like contesting for whatever reason, please don’t turn into a “Anti-Contester”. Just because you like telling your story to every ham that you come across doesn’t mean that every single amateur radio operator should be doing the same thing. Some hams are in it for CW, some are in it for Ragchewing, some are in it for chasing DX, some are in it for EmComm (Emergency Communications), some are in it for contesting and yada yada yada ya. Ham Radio is a big melting pot of all different types of people and the different ways they communicate. It shouldn’t be subject to a single use. I want to try contesting, what do I need? As I stated earlier, you don’t need a “Big Gun” station to participate and have fun in a contest. All You need is time, will and determination more than anything else. Oh and at least some equipment. If you already have a transceiver, antenna and a way to log the contacts then you are all set for contesting. If you’re comfortable with just that then hopefully you’ll have a fun time contesting. There are things out there that will make your contesting experience much more enjoyable and will give you a better chance of a higher score. In my personal opinion, the biggest contribution to contesting is the personal computer. With that and CAT control and possibly an internet connection, it will make you much faster in the contest. With a computer you can use logging software in combination with rig control to log the frequency, time, call-sign and exchange. Depending on the software, it will estimate your score. That depends on if the other stations you’ve contacted submitted their logs. Some other things that can help you in a contest are a Headset (For SSB) with either a foot switch or the VOX (Voice Operated Transmission) enabled on your radio (if you have one). That will free up your hands for logging and other things. It will also block most of the noise happening in your environment. A memory keyer (CW/SSB/Computer) would be beneficial for both CW and voice contesting. What the memory keyer does is store messages that you will be sending over and over again. For example if you say “CQ Contest CQ Contest This Is November Tango One Kilo Contest” hundreds or thousands of times throughout a contest, it can get tiring and you’ll sound horrible towards the end of the contest. The memory keyer will store the message and play it over the air whenever you push a button. So you can store things like CQ, Your exchange (if there is no serial number involved or anything that is different per contact), “Thank you, 73”, “QRZ This is NT1K” and other things that you might say repeatedly. Same with Morse code. A lot of this can be done with the computer. However, you might have to add an additonal piece of equipment called a “Sound Card Interface” like the Rigblaster or SignaLink for voice and/or some kind of CW interface like WinKey. You can also just buy the hardware (linked earlier). There are many options out there, some people use a couple of Audio cables and the VOX on their radio as an interface. In short, a ideal contest setup would consist of your transceiver(s), antenna(s), computer w/ appropriate software, headset and/or memory keyer (either software or hardware). I have what I think is needed for contesting. What do I do? First off, see what contest(s) are out there that you are interested in and see when they happen. This website catalogs the upcoming contests and gives you the basics about each one. Most contests have a website that is dedicated to the contest in question. I would visit that web site, read and understand all the rules for that contest. Nothing is more embarrassing then not reading the rules and participating in a contest where all the work that you did could be flushed down the toilet. Next thing to do is to set your goals. You can aim to beat your last years score, the score of a rival operator or operate for X amount of time or X amount of contacts. You can aim really high and set your goal to WIN the contest. If you are brand new to contesting, I would read the rules and listen in on a different contest before taking part in the one that you’re interested in. That way you have a feel for what’s about to happen. If you’re in a contest that is using a “Digital” mode (such as RTTY, PSK, CW, FeldHell, etc.. ) it would be wise to setup “macros” or scripts needed for calling CQ and making exchanges. Nothing is more irritating when you’re in a PSK or RTTY contest and the persons macro is a mile long causing the QSO to take way longer than it should. About a week before the contest begins, start checking your equipment and software to make sure everything is in working order. That way you’re not running around like a chicken with it’s head cut off looking for hardware to replace your non-working hardware or trying to fix the software you’re using. The day before the contest starts I would check your equipment again and configure your software (if you’re using it) to the contest that you will be participating in. If you’re using rig control, make sure that it works and everything communicates with each other. Then I would test your setup by getting on the air and making contacts. 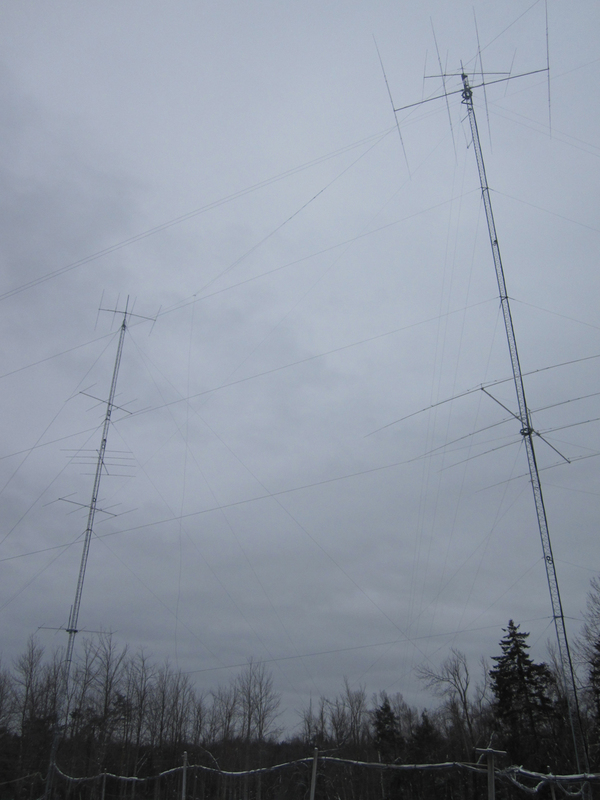 If you happen to have towers and beams or directional antennas, have them pointed in the direction you need them in. Get a good nights sleep. You don’t want to be exhausted when getting into the contest. Depending on the contest, you might NOT be sleeping for the next 48 hours. So plan accordingly. Hours before the contest starts, I would do one final check of you’re equipment. Depending on how serious you want to be, I would also take this time to setup your area. Make it as comfortable as possible since you might be planted there for a long time. Things like having a stocked cooler and/or coffee maker within arms reach can really make things easier. Same thing with snacks and/or meals. If you’ve ever done gaming then you should already have an idea of what it’s going to be like. This may sound extreme but that’s how some people do it. Contest Started. What do I do? To answer that easily… GO GO GO!! What are you waiting for?!? Start!.. Every couple seconds of just sitting there wondering could cost you points. The ideal thing to do would to take command of a un-used frequency (good luck) and start calling “CQ contest…” (running) and start racking up those contacts. However depending on the contest, you might get pushed off by the “BIG GUNS”. It’s happened to me (even when I was using a “BIG GUN” station) a lot and I am sure it will happen to you. It’s hard to compete when the “Big Guns” are hogging up the band. Don’t let that make you lose hope. Use that to your advantage. Work all those “Big Gun” Stations and do what it called “Search & Pounce (S&P)”. Start from the beginning of the band and turn the dial towards the end of the band, working as many stations as possible. Depending on the contest or the rules or the category you’re running in, once you reached the end of the band, go the next higher band and do the same thing over and over. If you happen to find an empty frequency that can be used then stop S&P and go back to Calling CQ (Running) and repeat. Another way people contest (if it’s allowed in the contest) is to utilize the Spotter/Skimmer/Packet networks that are out there. For those who don’t know what this is, it’s the exact same thing as a “DX Cluster”. What happens during the contest is after the operator makes a contact, the frequency and callaign will be “Spotted” on the network. 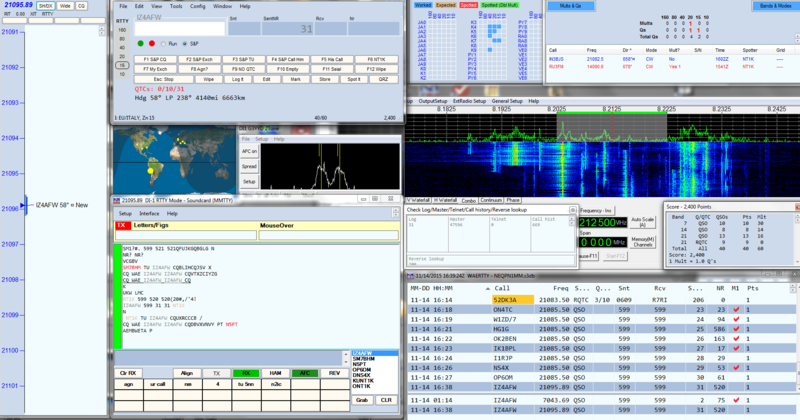 For CW there are computers that use SDR (Software Defined Radio) that can look at almost 200Khz worth of bandwidth, decode the CW and post the spots on the cluster. They call this skimming. If you have the appropriate software and it’s setup correctly, you can have all this information displayed on your computer and all you would have to do is click on the callsign you want to make contact with and it will automatically put you on the frequency they are on and partially fill out the log book. The downside of this is that it could possibly put you into a different category. It’s may be fine for some contests (because you’re already in that category) but will make it difficult for you to even place in other contests because there is a possibility that you will be lumped in with the bigger stations. What can I do to have the Highest Score Possible? Well, that depends on you and your will, determination and the goals you set before the contest. If your goal was to operate for at least a couple hours and you did then your Goal has been achieved and your score will reflect it. However there are things that you can do to get the highest score possible. The fastest way to a high score is to work multipliers(mults). I brushed on this earlier but depending on how the contest is setup and governed, certain stations are considered multipliers. 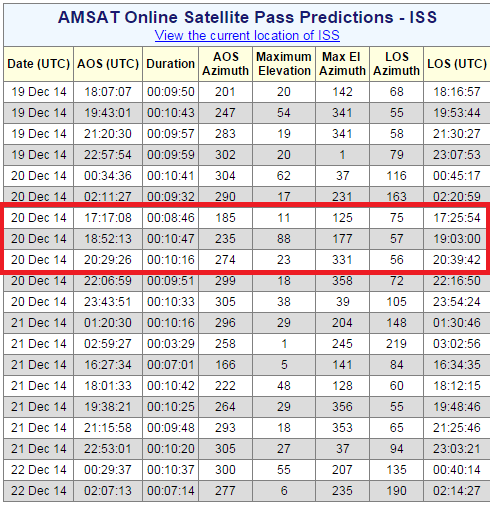 If you work that station and get confirmation, your score will multiply by that amount. 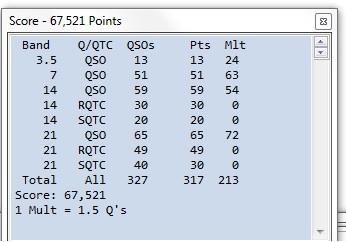 So if you worked 54 (1X) multipliers, each contact (QSO) would be 54 points. If you’re working assisted and depending on the logging software, it will tell you that you’re working a multiplier and your predicted score will change. Another thing to do is stay active. Some people are only active when the band is “Open” and go off to do other things when the band dies down. Spend some time before the contest looking at and learning HF Propagation charts (Link 1|2|3|4). Make a print out of what bands will be active at certain times and try to get on before the band “Opens” up. Hopefully that will give you a jump and possibly a running frequency. If the contest involves working stations in Europe, you most definitely want to be on the air when the band opens up to Europe due to the massive amount of stations and countries in that area. If the contest is a “work anyone anywhere” type then when the band dies down, concentrate your efforts to working contacts in your area/country. There might be a time were it seems dead. At this point find the most “Active” band and setup camp calling CQ. Contacts will come trickling in but it’s better than not making contacts at all. I also have either my laptop/tablet/smartphone going so I can be doing other things while calling CQ and stopping to make the contact. Set your goal – Is it to be on for X amount of hours? or to make X amount of points? or to beat last years score? or to WIN! Check Check Check your equipment – Don’t want to spend the first 3 hours of the contesting fixing things. Be comfortable – Setup the area to be as comfortable as possible. Possibly have food and drinks within arms reach. Three tries – If you can’t get the station within three tries, move on or say “Sorry, I can’t work you, please try again later. QRZ” . If they are strong, the chances of them of being there on your next go-around will be high. No Ragchewing – The point of a contest is to make as many QSOs as possible. Talking to another contester will end up costing you potential contacts and will annoy the other contester. Start low and repeat – If you’re S&P, start at the beginning of the band and work your way to the end. At the end, move to the next band higher until you’re high as you can get and then start over at the lowest possible band and repeat. Like a cirrrrrrcle. Follow the DX Code of Conduct – Even though this should be followed at all times. It’s more important during a contest. Not everyone follows this but after some time contesting, They stick out like a sore thumb and will be labeled a LID (poor operator)… Don’t be a LID. Contest is done… Now What? After you recover, I would glance over the logs to see if anything sticks out that is wrong like invalid callsigns or bad exchanges and see if you can fix them or possibly remove them (I would try to fix them). Some contests will give kudos to those whom submitted error free logs. After checking the log, export it in the format the sponsor asked for (mostly carbrillo format) and check the rules of the contest to see how or where you have to submit/upload/e-mail your logs to. Even if you were in the contest for 10 minutes, If you made contacts, I would submit a log file. There is no FCC Law saying you have to submit a log, but depending on the contest, it might take points away from the other operators since it’s won’t be a true contact since there is no confirmation from you. So if you take part in a contest, please submit a log. Even if it doesn’t benefit you. It’s just good practice. Was it worth all the time and trouble? Once again, that all depends on YOU! Did you have a fun time? Did you reach your goals that you’ve set before the contest started? Was this your first time participating in this particular contest? Did you end up getting a certificate or winning a category? All of these questions will tell if you if it was worth it. A great thing about contesting is that you can use the contacts that you made during the contest to count towards awards like DXCC or WAS (that is if you were using YOUR callsign). And if this was your first contest, now you have a base to set your goals for. At the time of writing this article, I’ve participated in a few contests. I am nowhere near being an “expert” at contesting and I don’t have what is considered to be a “BIG GUN” setup. I’m writing this hoping to drum up at least some interest in contesting from those who are just getting into the hobby. There are other articles by veteran contesters that are much better. If you have the chance to join a contesting club, go for it! If you didn’t learn anything from joining and participating in a contest club then I would question what type of club it really is. Some clubs even hold “Contesting Classes” where they will walk you through the details of contesting. You can also attach yourself to a group within the club (and hopefully near your QTH as well) and shadow them to see how it’s all done. Some of these contesters are begging for ops to come over and operate using their callsign (or club call) so they can take a break. Some are willing to teach you (isn’t really hard to say you’re 59 and the exchange) so they can have a semi warm body at the radio making contacts. 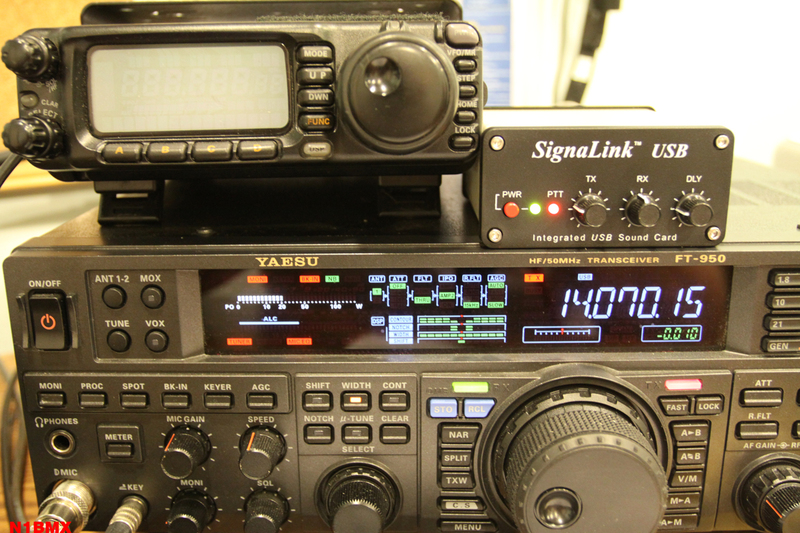 Transceiver: Yaesu FT-950 HF/6M – It’s no K3 or IC-7800 but I like it! 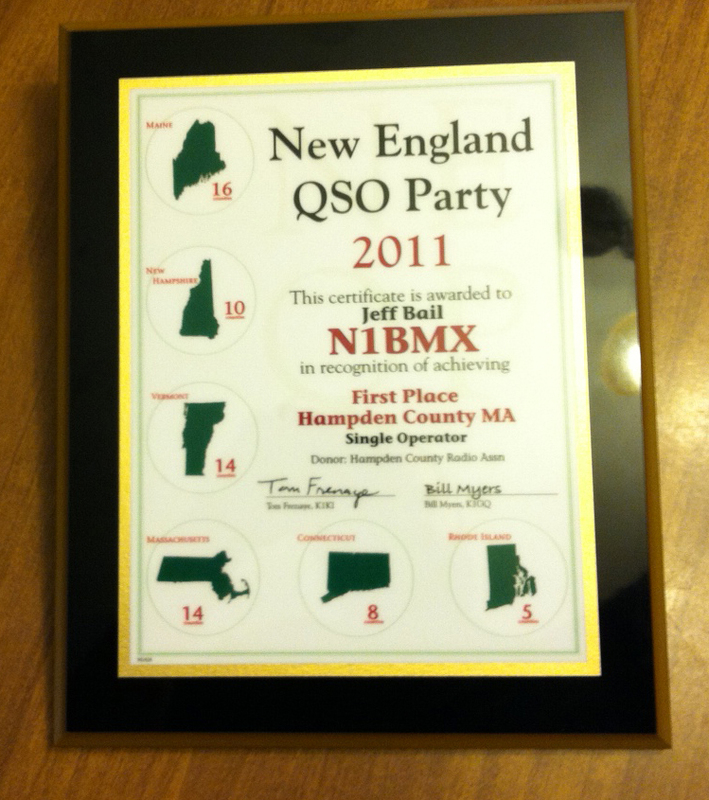 New England QSO Party (2011,2012) – Actually won a plaque for winning first place in Hampden county in 2011. It also means that I beat 6 other ops. Doesn’t matter, still won. Single Op from home using low (1oow) power, submitted as high power by mistake. North America QSO Party – (Score Unknown) Participated in NAQP from K1TTT contest station using the call NE1C. 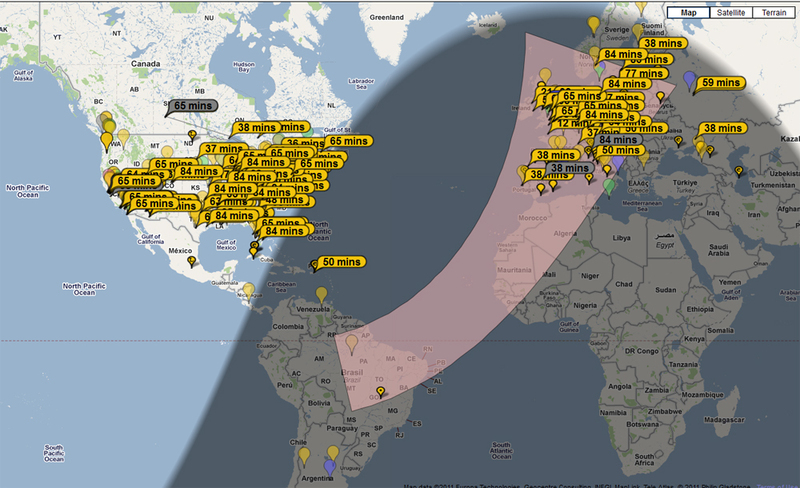 CQ WPX SSB – Approx 10,000,000 points. Multi-Op From K1TTT using call NE1C. Was the only op on the night shift for the second day. It was a slow night making abt, 100,000pts but when Europe opened on 20M, I made around 1,500,000 points in the first couple hours. Had a great time, I wish it was my call being used from the stations. I worked countries that I never even heard (Thailand, Mongolia) from at my QTH.It was pointed out that there is more pride making contacts from your home QTH and your setup which I fully agree. Author NT1KPosted on May 1, 2012 May 3, 2012 Categories Contesting, Digital Communications, General Ham Radio, HF, UHF, Uncategorized, VHFTags Airwaves, Contest, Contesting, Guide, Shack2 Comments on Contesting… Huh? Hello APRS My old friend. Back in 2001 when I first got my license. I was interested in APRS because it was something I can do with my new license. I went as far as setting up a part time digipeater and after only a couple of months, the digipeater went down and lost interest in APRS because the cost of a GPS receiver at the time (even though GPS is NOT a requirement to listen or participate on the APRS network). 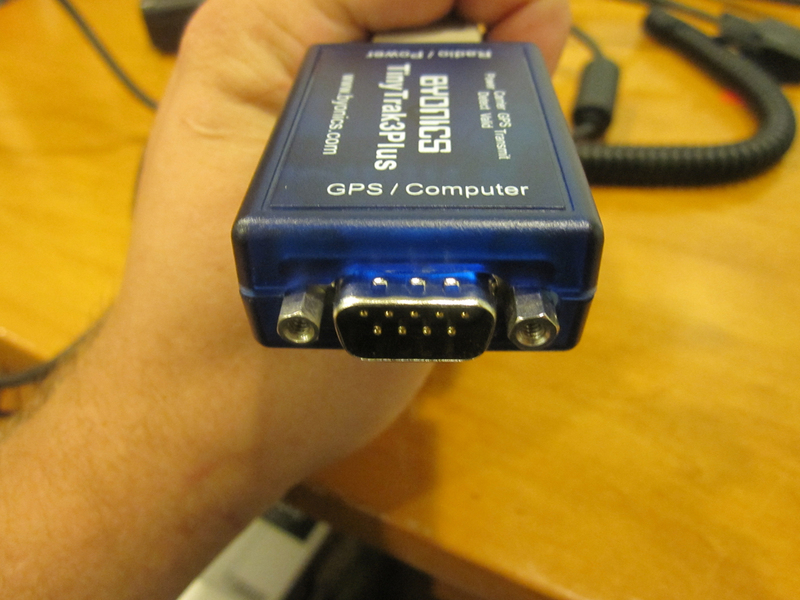 GPS receivers are a lot cheaper compared to 10 years ago and I have a old Garmin GPS-V lying around. So I figured this would be the perfect time to get back into APRS. For those who don’t know what APRS is, It’s Automatic Packet Reporting System which is an Amateur (Ham) based system for real-time communications of information using a digital protocal (AX.25). There are many possible things you can do with APRS. You can send (Short) text E-mail, SMS Messages, send weather data (Which the NWS uses) and when hooked up to a GPS , will send position data. I am not going to go into much detail because there are websites that are dedicated to APRS. I am going to be doing a couple of things with APRS. One thing is that I am going to set up a part-time iGate (internet gateway) to make use of the frequency scanner and antenna that is not being used. Packets of Information received from the scanner (tuned to 144.39mhz) will be sent over the internet using the APRS-IS network so it can be databased and displayed on such websites as aprs.fi . The other thing I want to do is location tracking. In order to do tracking you’ll need 2 or 3 things. You’ll need a GPS receiver that has an output for NMEA data, TNC (Terminal Node Connector) and a transceiver (VHF [144-148mhz] is Most used). As stated earlier, I have a Garmin GPS-V lying around and I also have a Kenwood TH-78A. All that is missing is a packet TNC. A Real TNC can cost $100+ and needs a computer. However there are units designed and built for APRS that will encode the data from the GPS to the AX.25 protocol and transmit the signal using the transceiver. 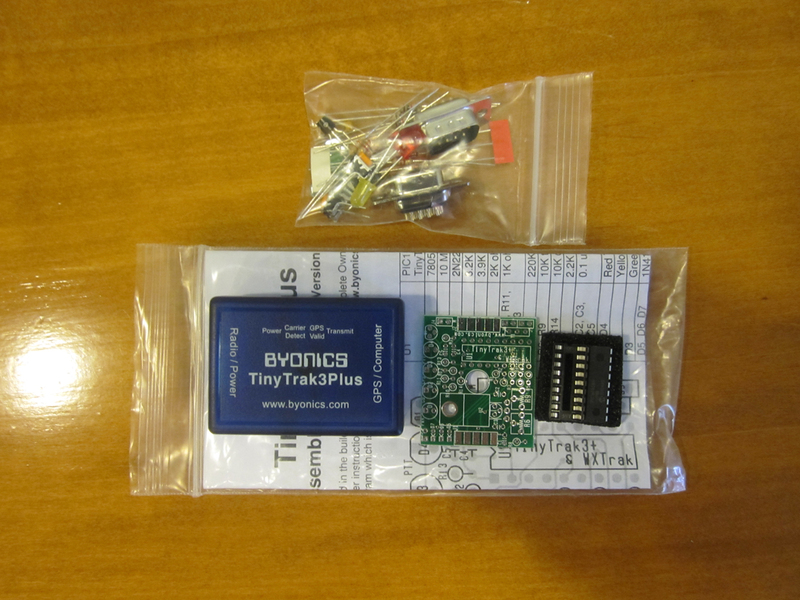 I’ve purchased one of these units called ” TinyTrack3+” from a company called Byonics. It’s as basic as it gets. You can either buy it as a kit or assembled, with or without a GPS Receiver, with or without cables for your transciver or with or without cables for various GPS models. I ended up going with a solder and assemble your self kit without any extra cables because I wanted to invest the least amount of money in it as possible. Here is the kit as you would get it in the mail. It comes with the componets, board, case and instructions. 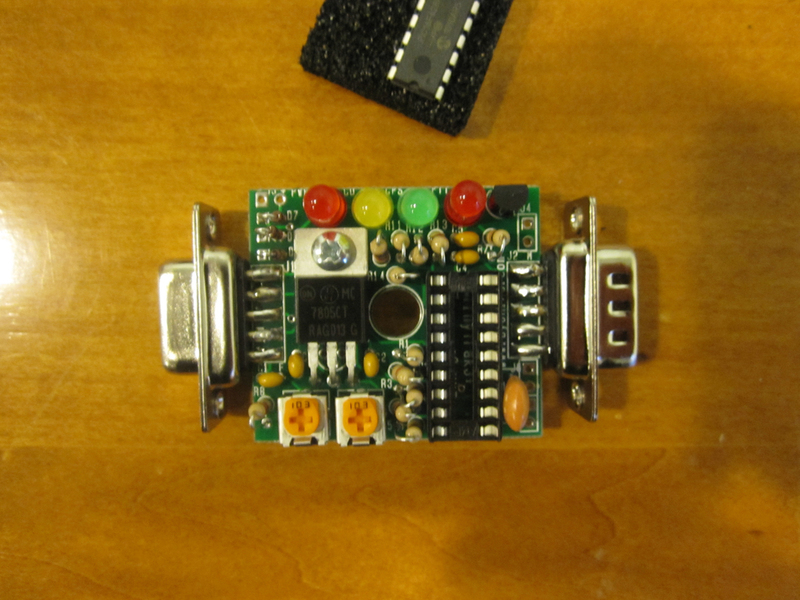 Here is the board soldered up. I used a 35W Pencil type soldering Iron. I filed the tip a little bit to assure that solder flows to the tip. It took about 1/2 to 3/4 of an hour to solder. If your new to assembling boards, I would go to the Byonics website and download the manual because the online .pdf manual will cover the assembly and everything else in great detail. As long as you follow the step by step instructions, it will turn out great. For newbies make sure the diodes are going in the right direction, LEDs in the right direction and make sure the notch (little cutout) is aligned with the silk screen image. Just an FYI, I sacrificed a speaker microphone from my Wouxun. Power-Werx which distributes Wouxun products (as well as the power poles), has the exact same cable for this application for sale on their website. They also have a similar one but with a cigarette lighter plug (Both for US$20). Byonics also sells cables for this and many different radios. Also note that that wouxun speaker mic layout is the same for kenwood HT’s! 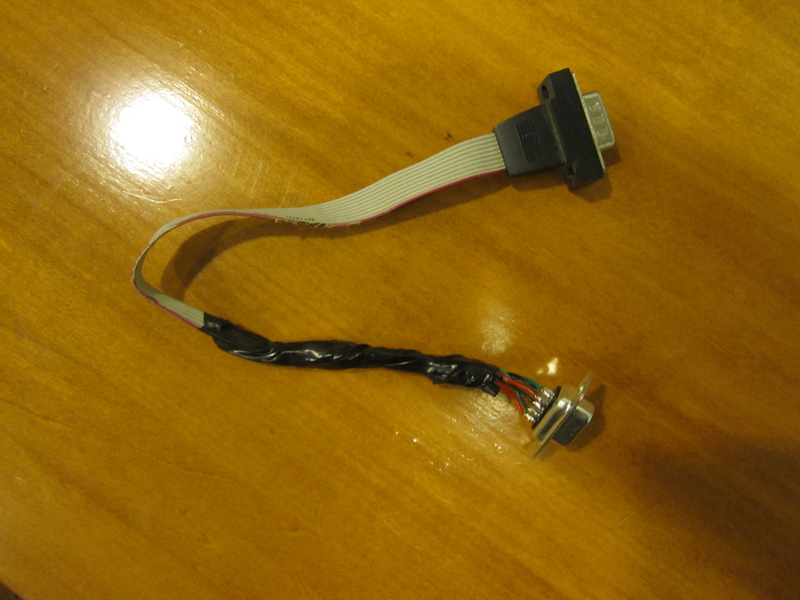 Here is the cable that I made from parts out of an old 486 that I had in the attic. It’s not pretty or rugged enough for daily use but once you program the Tracker and are satisfied with the operation then you will most likely not have to program it again. Here is the complete setup. Right now I have the unit running off a 9V battery. I also used a cigarette lighter plug with power poles connected to it. Depending on how you programmed the tracker, It will only send when there is data from GPS. There are limitless things you can do with this setup. For SOTA members (Summits On The Air), They can bring this along with them so others can see their progress in their hike. If you helping out in a public service or public events which ham radio operators are helping, you can show your location to HQ without even telling them. It makes things a lot easier. Here is my first track. I learned a lot when doing this. I found that my handheld in the truck has a hard time communicating with the digipeaters in the area. I might purchase a small 1/4″ wave mag-mount or a duplexer and switch to my dual band antenna for when I am running APRS in the truck. I added things to the Tinytrak3+ which I think will make it better for me to run. If I had to be really critical about the tracker is that the DB-9 connectors did not come with mounting screws. The first test out with my truck the power/radio connector became loose and eventually lost power to the tracker. To fix this I went scavenging parts off a old computer. Now I can secure both the power and GPS connections. The screws came off the LPT and monitor ports of an old mother board. There is a small amount of space between the back plate of the connector and the board. So I had to grind down the bolts and nuts so It would not touch the board. Another issue that might come is when I am portable (walking). More likely the power source for the tracker for this purpose will be a 9V battery. The tracker with all the LEDS running will consume around 18.6ma which means a 9V battery (.370Ah avg) could possibly last for about 9-12 hours (60% discharged). If you turn off the LEDs, the power consumption is 6.6ma. On a 9V battery, the tracker could last around 30 hours. The TinyTrak3+ can run without the LEDS by cutting a lead (tells you how in the directions). If you using a high-capacity 9V (.580Ah)with no LEDs it could last for more than 50 hours so it might be beneficial to cut the lead and add a jumper. The down side is that you will not know the status of the Tinytrak. So what I did is cut the lead on the board and installed a bridge (shown in the picture above with the blue jumper). When jumped the LEDs are operational. Also pictured are 2 bridges installed (on the left side) for jumpers J5 (outside pair) and J6 (inside pair). If J5 is jumped it will switch to what was programed in the secondary tab in the program (Program 2) . This would work great for an event which required either a different call and/or different settings. After the event, you can switch back to the primary settings. If J6 is jumped it will send a signal to power on the transceiver. This would involve another board with a relay to put power into the transceiver or modifying the transceiver. I don’t plan on messing around with it any time soon but since I am soldering on jumper bridges, why not. 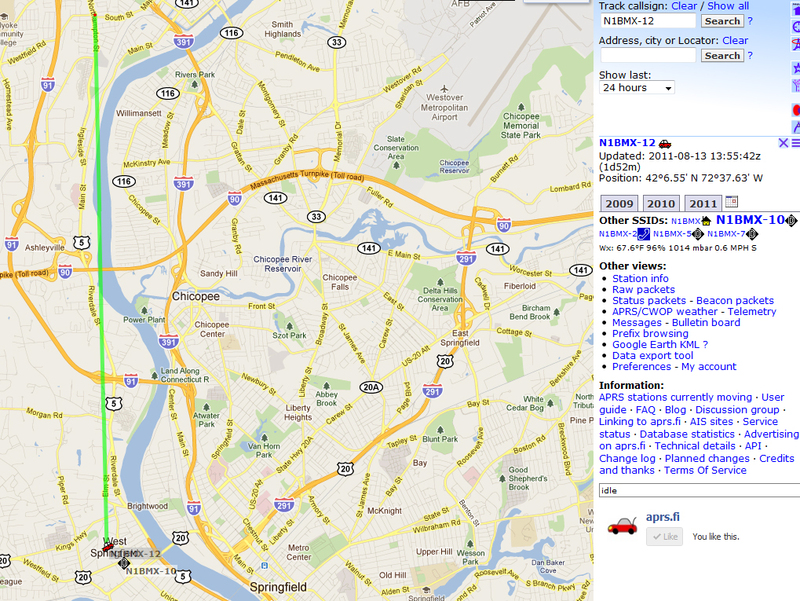 Overall it was a really great build and I am having a blast with APRS. My plans are to find a way to make it all fit into a nice tiny package that I could carry when hiking or driving. 73 and thanks for reading! Author NT1KPosted on August 14, 2011 November 8, 2011 Categories APRS, Digital Communications, Projects, VHFTags APRS, Build, Driving, GPS, Kit, Project, Solder, Soldering, TinyTrak, Tracking1 Comment on Hello APRS My old friend. This year I participated in Field Day with the Hampden County Radio Association. Instead of dropping by a site and using their equipment, I decided to offer up my equipment for use as the “HF DIGITAL” station. Other than a couple of software issues, the Digital station was a success with over 170 contacts. Check out Hampden County Radio Association’s Website for information about Field Day. After getting Ham Radio Deluxe, DM780 and the Pain in my back side logbook to play nice with each other and myself. I’ve been doing some digital. I got some new places I’ve never talked to and had a blast. You can see sort of what I am talking about in the screen shot above. Since I have a radio capable of transmitting Digitally using the Project 25 protocol. I wanted to test it out. The only issue is that there are no P25 ham radio repeaters in receiving distance from my house and I do not have another P25 radio to communicate with. After searching around Google, I found some websites discussing software that will decode the digital signal and convert it to analog over your computer’s sound card. Scanner – I guess it can be any kind as long as you can get at the discriminator output. I used a Radio Shack PRO-97. Computer – Not sure what the minimum requirements are. I used a 1.5Ghz single core AMD (Circa 2003) and a motherboard with a built-in sound card. Sound Card (If you computer doesn’t have Sound Card) – I don’t think there is a need to go out and spend hundreds on a card that your going to use for this purpose. The money spent on a expensive card could have been spent on a scanner that can decode APCO25. I’ve found that a sound card using the AC97 Codec works the best. DSD (Digital Signal Decoder) – This is the software that actually takes the digital signal and decodes it. Mbelib – This software actually takes the decoded information and synthesizes it so you can hear the decoded audio. After modifying your scanner and getting Linux to run, download Mbelib and DSD in Linux and remember where they are located. In terminal CD (Navigate) to the directory where both Mbelib and DSD are located, Unpack both Mbelib and DSD and then install Mbelib first then DSD. If your very new to Linux and have some computer skills, this thread helped me out. I’ve uploaded a video showing up how DSD works with APCO 25 (P25, Project 25). It also works on other digital modes but I have not yet tried. I am loving this software. It’s not the easiest software to install or use but if your into scanning and just even wondered about Linux. This is the perfect project to get your feet wet in Linux. Please note that I am not an expert on the DSD software or Linux. Most likely I will NOT be able to help you if you’re experiencing problems. The install went so great for me and worked so well that I wanted to install it on another computer. After installing it on another computer, I had nothing but trouble. The good that came out of having a hard installation is that I learned a bit about DSD and Linux. I haven’t been using DSD much as I’ve been out of touch with APCO but I was informed by a user on Youtube that There is a verison that runs in windows. I’ve tested it against my XTS3000 (P25) and everything looks and ran great. I think the Audio was a little better sounding on my Linux box but the audio is still legible and I’m glad to now have it on a windows box. Maybe I’ll listen to it more often. Make sure to plug into the discriminator tap and put the other side into the LINE-IN (Blue). Before loading DSD make sure that the LINE-IN is your DEFAULT recording device and you should be all set. If you try to do this while the DSD is running you can run into issues just like when it was in Linux. Thanks to the RR crew because it makes scanning more fun and less expensive. Since I got the SignaLink I figured I can mess around with the Rigblaster. I wanted to adapt it to the FT-100 so If I ever go out with it and a laptop, I can do some digital work using the rigblaster as a interface. On their website they posted a article “Connecting your FT-897 to The Rigblaster NOMIC for digital operation” (Written By Jeff, K8YSV). I Followed the directions to the T and here it is! Just some things I would like to point out. 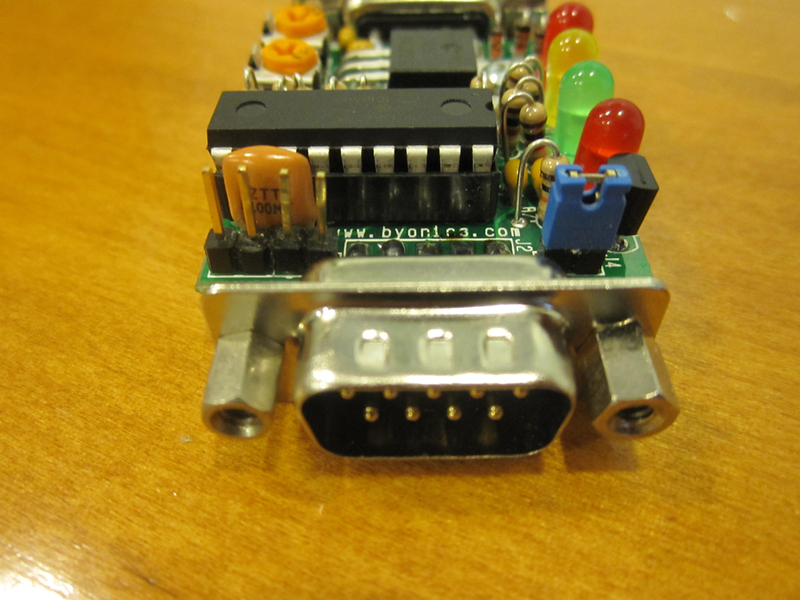 The FT-817, FT-857D, FT-897, FT-100D, FT-950, FT-2000 and I am sure many other makes and models use the MINI 6 PIN DIN connector which is the same as a PS2 cable that you find on a semi older keyboards and mouses (mice). I thought it would be easy and just find a old mouse or keyboard, clip the wire and use the connector. Well guess what? The PS2 Mouse and keyboard use 4 out of the 6 pins and the two that have nothing connected to them are need to wire up for the Yaesu rigs. You just might be lucky and come across a cable that works. I went through about a dozen keyboards and mouses until I gave up. Getting frustrated I went on Ebay and picked up a 6 pack of connectors for $10 w/ shipping. If you follow the entire article on the above link you can make a cable with just basic soldering skills. 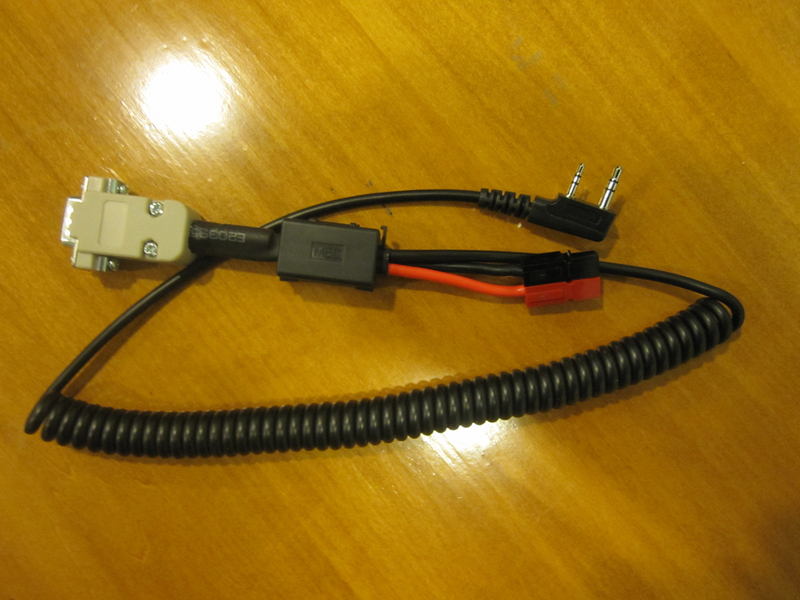 I added a ferrite choke to the data and audio cables to help cut down on the noise generated from nearby objects. After constructing the cable and testing it out, I wasn’t too impressed on it’s performance compared to hooking the NOMIC up using the Microphone jack and audio patch cables. I notice it didn’t sound right. I don’t have the proper analyzing equipment to give a detailed reason why but if you look at the band edges on the above picture, you will notice a drop off which I never seen with the unit normally hooked up. I also notice that the audio is not as strong either. I had to max out all the settings on my soundcard and radio. Even with the levels maxed and removing the resistor on the NOMIC board, the audio still seemed low. Overall I am not too thrilled about the outcome of the cable but it works. It makes it possible to use the microphone again and It’s going to help on a future project I have in the works. 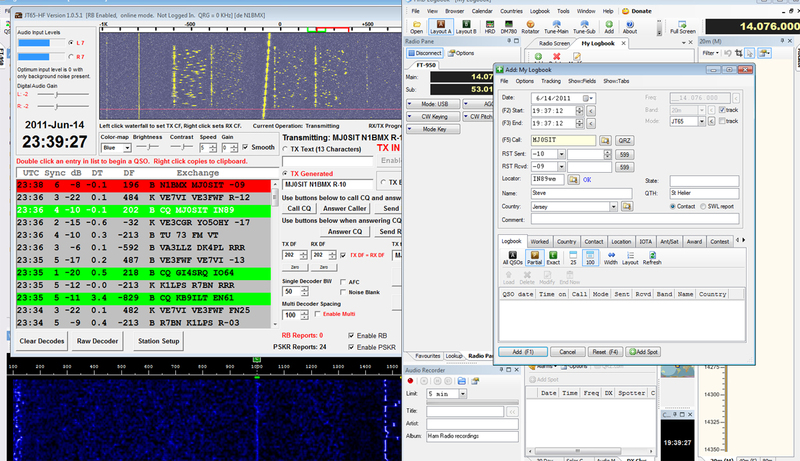 Recently I purchased a SignaLink USB from HRO in NH to replace my Rigblaster Nomic. 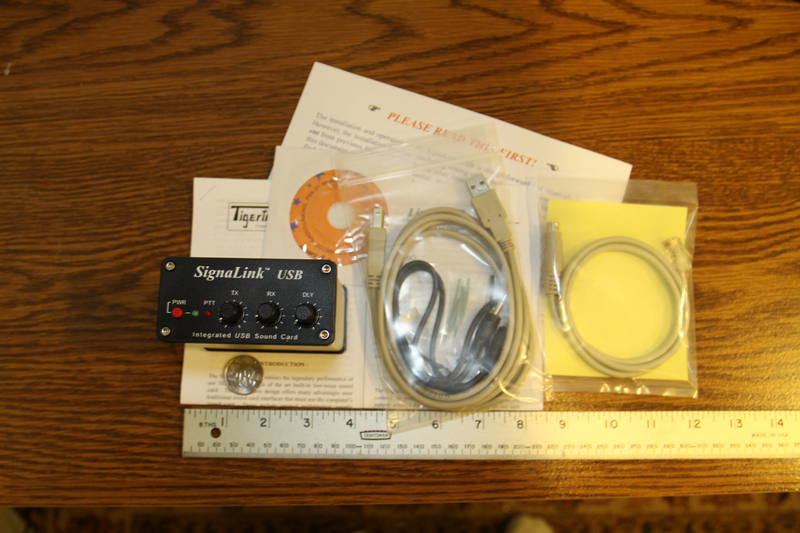 The Reason for doing so is that the SignaLink has a built in sound card. That means only one connection to the computer is required. It also Isolates the soundcard so I do not have to adjust my computers sound card every time I want to use digital. When purchasing the SignaLink you can either get one to adapt to your microphone jack or your data jack (If you have one). 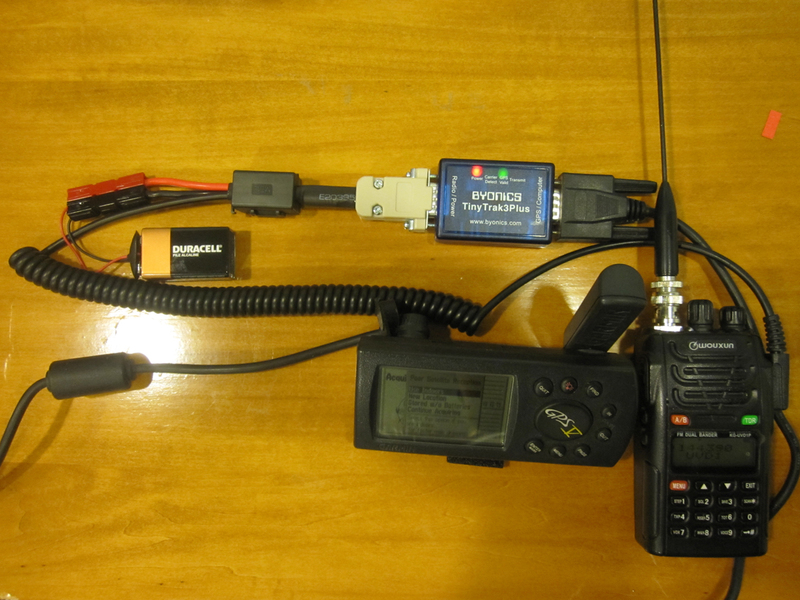 Since the FT-950 has a RTTY/PKT port on the rear of the rig, I purchased the SL-USB–6PM. The 6PM stands for “6 PIN MINI” which is what the RTTY/PKT Port uses (Similar to a Mouse/Keyboard cable). The box comes with everything you need to get going. Included in the box was the SignaLink USB unit,6ft USB-A to USB-B cable (Similar to current USB Printer cable), 2Ft of Rj45 to 6 pin Mini din cable (From the Unit to the radio), 1ft Male to Male audio (stereo) patch cable, Jumper wires, Allen wrench, Software CD (Contains Jumper Diagrams and Various ham radio software) and Manuals. The initial setup is very easy with the kit I purchased. 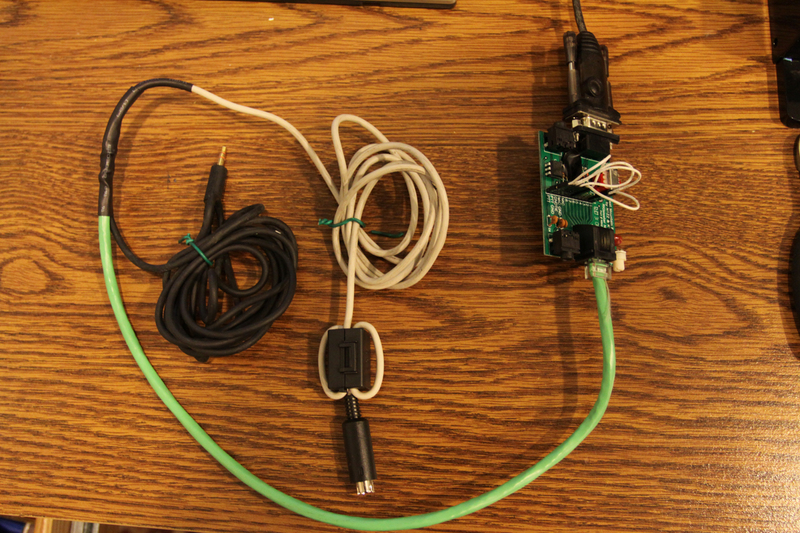 Just plug the USB cable into SingaLink then into the computer, then plug the Data cable into the SignaLink’s RJ45 jack and plug the 6pin Mini Din into the rear (RTTY/PKT, DATA) Port of your radio. Depending on your Operating system. The system will automatically recognize the SignaLink and install the default drivers for the sound card that is in the SignaLink. The software and radio setup could be a little confusing to some people. But it’s similar to any other interface that is out in the market. The only thing is is really different is that you will now have TWO sound cards showing up on your computer (Your computers and the SignaLink). 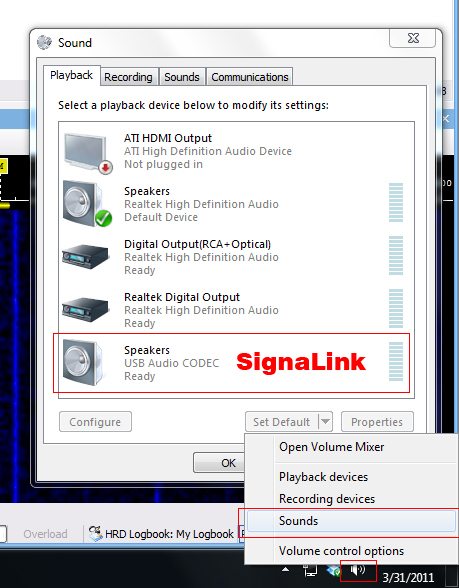 You will have to do some on software adjustments for the SignaLink sound card (Labeled “USB Audio Codec” or “USB Audio Device”) and you will have to modify your settings for each software that you use for communications. 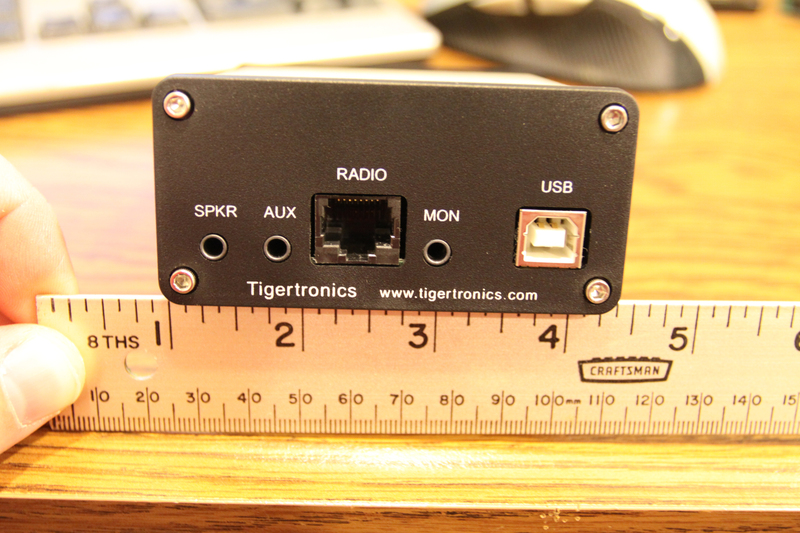 Tigertronics website provides a great amount of information on how to setup your SignaLink USB to your computer and will provide technical assistance over the phone\e-mail. On the radio side with the FT-950 I went to menu # 51 (Data Out Lvl) and # 53 (Data V Gain) and changed the value to 90 to max out the levels. If I need to changed the RX and TX levels of the data port I can do so on the fly with the knobs on the SignaLink. I also changed FT-950 to display the ALC meter. Once the RX is set, it’s time to start transmitting. Soon as you start transmitting adjust the TX knob so you see nothing on your ALC meter but the power is still at the level you set it at. The picture above shows that I set the power to 20 watts. in the PSK field you really do not need much power. I see a lot of people running high wattage which just makes it hard for others to communicate as they are causing QRM to stations near. So far I am loving the SignaLink USB. My sound card is now free so that I can listen to music again. Windows OS sounds will no longer be transmitted (DING! ), I no longer have to readjust my soundcard for digital. I can also use my microphone jack for it’s intended purpose; for plugging a microphone into. I can switch from digital to SSB in seconds! I wish I purchased one of these with the radio.